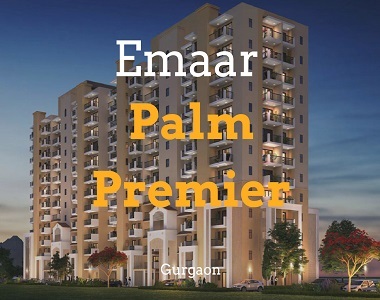 If you are looking for sophisticated homes in Gurgaon, then have a look at Palm Premier. Here, you will discover an infinite feeling of peace and optimism. Well placed at one of the posh localities at Sector 77 in Gurgaon home-enthusiasts will enjoy the living ambience in this architectural beauty. Backed by the renowned Emaar Group, lead the kind of life that you have always desired for to enjoy a lifetime of delighted moments with your family. If you are ready to embrace a luxurious lifestyle in a sophisticated home in Gurgaon, you can move to this residential marvel. With laminated wooden flooring in all bedrooms, marble tile flooring in dining and living area, elegant and integrated kitchen with multiple provisions, beautiful neo-classical facades and well-appointed fixtures and fittings inside every 3 BHK apartment here, there is no other project that you would like to call home. With sizes of these air-conditioned homes range from 2000 sq. ft. to 2025 sq. ft., experience the divinity of luxury space that is just irresistible. Besides, these homes come with seamless ventilation, and well-spaced and Vaastu-compliant rooms that will always make you smile. This newly launched development offers the advantages of a serene living ambience coupled with world-class facilities and amenities to residents. Enjoy a vast range of outstanding conveniences and amenities at Emaar Palm Premier exclusive clubhouse. A well-equipped gymnasium, modern swimming pool, indoor and outdoor games, dedicated play areas for kids – you name it and the development has it. The project also comes with several trees, landscaped gardens and open areas that bring you close to nature. From high-speed elevators to power backup facility, perfect landscaping, grand entrance lobbies and rainwater harvesting, the project has everything for the comfort of the buyers. This is a large master-planned community located in Sector 77 Gurgaon. This is a new community emerging to offer all the comforts and convenience to the homebuyers. 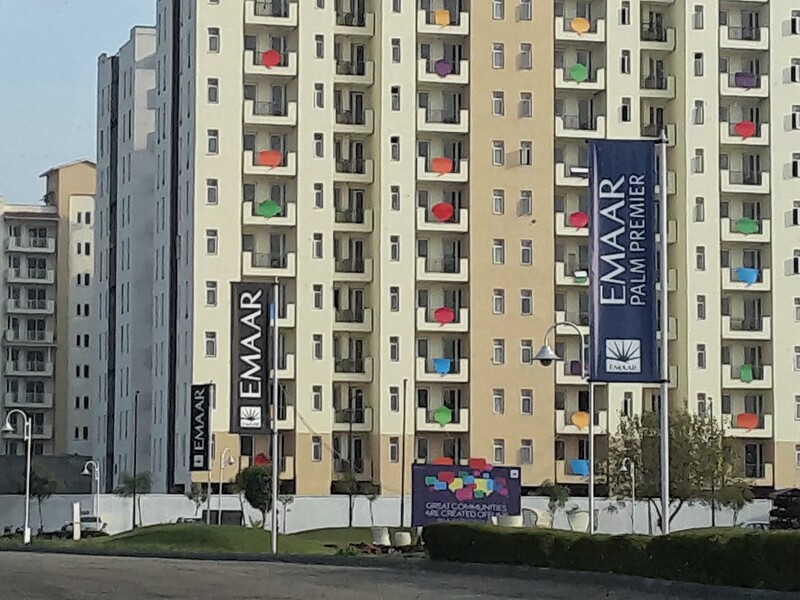 Strategically located on NH8, Emaar Palm Premier comes in close vicinity to all the basic and emergency needs of the residents. It is well-connected via established roads and public transport facilities to NCR and surrounding areas. The education and healthcare infrastructure surrounding the development is also well-established. The development is just a few minutes away from the business zones of the Gurgaon city. The 5-star hotels and Golf Course also comes in close proximity to the project location. So, all in all this development in Gurgaon Sector 77 is an ideal project to invest.